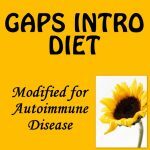 Before doing the Paleo Autoimmune Protocol (AIP), I spent 6 months on the GAPS Diet. It's very similar to regular paleo with one major difference: it eliminates high starch vegetables, based on the belief that they are difficult to digest and end up feeding harmful bacteria in the large intestine. The GAPS diet took me out of crisis. I went from rheumatoid arthritis flares daily, to flaring just a few times per month. When I plateaued in my healing, I jumped into the AIP and my flares stopped altogether. However, I never stopped doing the GAPS low-starch protocol. I figured it was working, so why mess with it? Fast forward to this year when I participated in the American Gut Project and got my microbiome analyzed. It showed that not only was I missing harmful bacteria (yay!) I was also missing some beneficial bacteria. That's because bacteria doesn't get fed in isolation – what feeds one feeds another, and by starving out some of the bad bugs, I starved some good ones, too. I decided it was time to test the starch theory. Did I really need to avoid it, or was I doing this unnecessarily? So, what is starch anyway? It's how plants store excess energy. In dietary terms, it's a long chain of sugars that takes time for our bodies to digest. There are two kinds of starch: amylopectin and amylose. Amylopectin is easier to digest (although ability varies from person to person) and amylose is difficult to digest for everyone and therefore known as “resistant starch.” Most starchy vegetables are a combination of the two, but the ratios vary. Non-starchy vegetables. Not all vegetables have starch. Cauliflower, celery and asparagus are just a few examples of non-starchy vegetables. Starch is most commonly found in root vegetables, legumes and grains. Since legumes and grains are usually excluded on the paleo diet, it's automatically lower starch than a Standard American Diet. Low-starch vegetables. The GAPS diet isn't a no-starch diet, but rather a low-starch diet. It allows some vegetables that have a small amount of starch in them, such as carrots, winter squash, green beans and green peas. I went out of my way to eat these every week, because I didn't want to accidentally go low carb and risk adrenal fatigue and hormone imbalance. Some people accidentally go into ketogenosis on GAPS. The scientific evidence doesn't support ketogenosis for RA, so I intentionally avoid it. High starch vegetables are forbidden on the GAPS diet, but eaten freely on the paleo diet and include sweet potatoes, parsnips, cassava, arrowroot, tapioca, taro, plantains and unripe bananas. There is also one high starch nut: chestnuts. Simple starches like cooked white rice and cooked white potatoes digest easily into 100% glucose. For this reason, diabetics are advised to steer clear, because it can spike blood sugar. But Paul Jaminet recommends them in his Perfect Health Diet. He says that a healthy body needs glucose to function, and white rice and potatoes are a good source of this nutrient, especially for people who have difficulty digesting more complex carbs. Note: you can cook and refrigerate these to convert some of their starch content to resistant starch, but it's a relatively small amount that gets converted. Complex starches like sweet potatoes go through a more complex digestive process. Whereas white potatoes convert into ready-to-use glucose, sweet potatoes break down partly into fructose, which needs to be converted into glucose by the liver, before being accessible to the body. Resistant starches like green plantains are basically food for our microbiome, rather than food for us. They travel largely intact through our small intestine and feed the bacteria in our large intestine (both the good and the bad). Opinions in the paleo community vary. 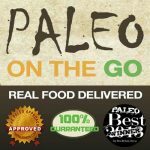 Loren Cordain and Robb Wolf, two fathers of the paleo movement, both list starches on their “foods to avoid list”. Terry Wahls slowly transitions people off starchy vegetables through her 3 phase protocol, with her top level being a ketogenic diet. Representing the other side, you have Paul Jaminet, one of the strongest advocates for “safe starches”, recommending people eat one pound per day. You have Sarah Ballantyne who recommends people eat starchy vegetables freely. And finally, you have Chris Kresser, who believes starch tolerance varies from person to person and should neither be forbidden, nor universally recommended. He's a big believer in the self-experiment. So am I. And to be fair, the people I listed above in the pro-starch or anti-starch categories know there are exceptions to every rule. When it comes to the paleo community, self-experimentation (n=1) is recommended by almost everyone. Update 2017: With the publication of his new book, Wired to Eat, Robb Wolf now recommends self-experimentation to find your carbohydrate/starch tolerance. I can't talk about starch in 2014 without addressing resistant starch (RS). This is the form of starch that is indigestible, meaning it's food for our gut bacteria and not food for us. Supplementing unmodified potato starch (the densest form of RS) is the latest craze in the paleo community, largely fueled by the passion of three people: Richard Nikoley, Dr. Grace Liu and Tim Steele (aka Tatertot Tim). They believe it preferentially feeds beneficial bacteria (bifidobacteria specifically) and can therefore help a myriad of health problems. Not surprisingly, there are people in the paleo community who disagree. 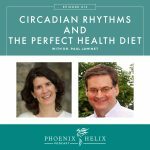 Jeff Leach (from the American Gut Project) and Dr. Sarah Ballantyne (author of the Paleo Approach), both endorse eating a variety of fruits and vegetables that naturally feed a diverse microbiome, and warn against supplementing with anything that preferentially feeds certain bacteria over others. Just because bifidobacteria is more heavily researched doesn't mean it's more beneficial than the hundreds of species we know less about. Then there are people who specifically warn against resistant starch, such as Dr. Norm Robillard and Dr. Allison Siebecker, experts in SIBO (small intestine bacteria overgrowth). They got concerned when RS leaders started recommending RS supplementation as a cure for SIBO, when their experience is that it can greatly worsen the condition. So, what to think? You can browse the comment sections on any of the resistant starch articles (here are a few.) 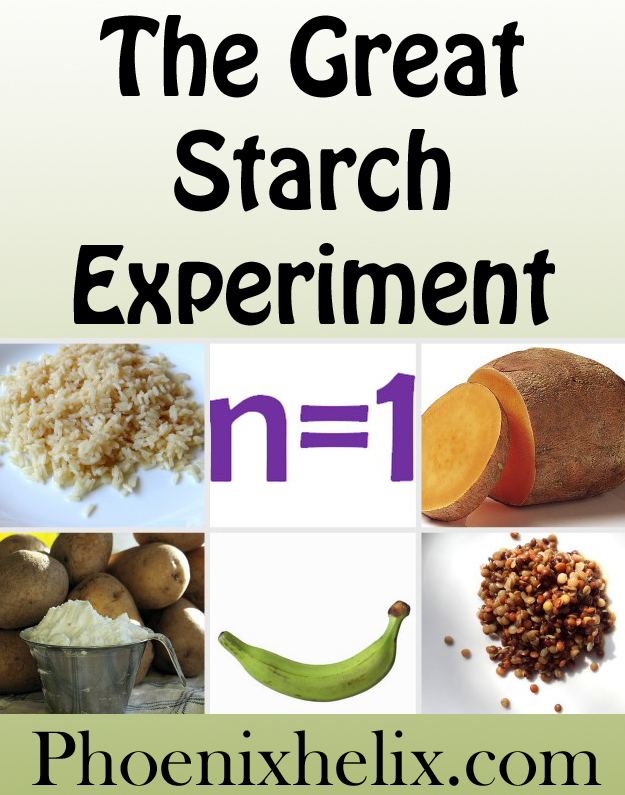 You'll find people are self-experimenting with resistant starch and results vary greatly. The more complex your medical issues, the more likely you are to have trouble with resistant starch. Update 2015: Grace Liu has changed her opinion and now warns people against potato starch supplementation. 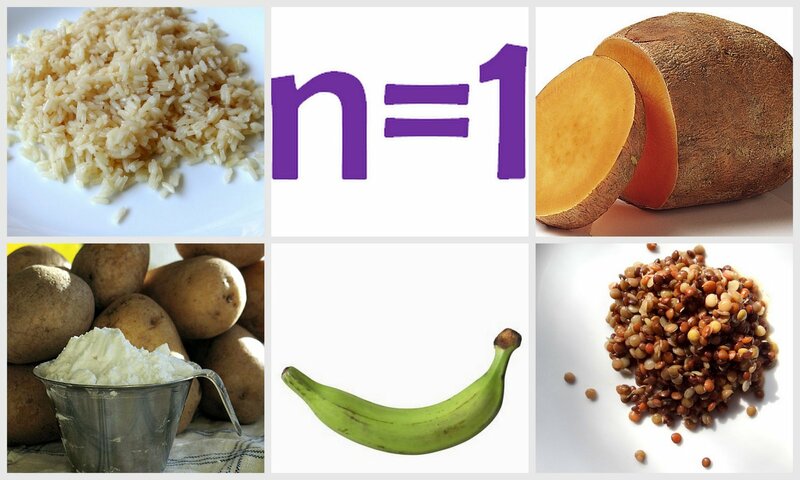 What is N=1? In scientific experiments, n=the number of people being studied. N=1 is slang for self-experimentation, a practice strongly promoted in the paleo community as a way to learn what our unique bodies need. My Process: I used the same process I learned reintroducing foods on the paleo autoimmune protocol. I introduced one starchy food at a time, eating a normal size portion and then waiting 72 hours to monitor my body for a reaction. If there was no reaction, or it was too subtle to know for sure, I ate some every day for a week to confirm the results one way or the other. The most important thing for me, as someone with rheumatoid arthritis, is to avoid any increase in inflammation. I had been on the GAPS diet (avoiding these starchy foods) for 18 months. 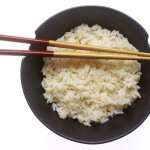 Simple Starch – White Rice: In the starch primer above, I mention that there are two forms of simple starch which digest easily into pure glucose. One is white potato and the other is white rice. I'm nightshade-intolerant, so potatoes aren't an option. Since rice is a grain, and I'm on a grain-free diet, you might think that's not an option either. However, it's the hull in grains that contain the anti-nutrients and enzyme inhibitors that make grains unhealthy. White rice has had all of this removed, making it an easily digested form of carbohydrate, and some of my friends on the Perfect Health Diet swear by it. Sarah Ballantyne even includes it as a Stage 4 Reintroduction in her book, The Paleo Approach. I decided to give it a try. Result? My body digested it easily with no inflammatory response. (Yay!) However, I experienced no beneficial results either. In fact, even though I cooked the rice in bone broth with added fat, I still experienced a blood sugar crash followed by sugar cravings, which is typical for a pure-glucose food, and something I haven't experienced in the 2 years I've been paleo. For this reason, It's not a food I would choose to eat regularly, but convenience foods are hard to come by on an autoimmune diet, and I'll take any I'm allowed, even if just occasionally. I just need to eat it with a full meal to moderate the blood sugar effect. It also gives me another option on the restaurant menu those few times I eat out. Update 7/25/15: I wrote a detailed article on white rice including all the pros and cons and the best way to maximize its nutrition: What's Up With White Rice? Complex Starch – Sweet Potatoes: This is a favorite starch in the paleo community, and many people eat them daily. They have 17 grams of starch per cup, and only a tiny amount is resistant. Sadly, I had an immediate inflammatory response to these. I had full-body stiffness within 24 hours. Resistant Starch (RS) – Green Plantains: While unmodified potato starch is the most common form of RS supplementation, I can't have that due to my nightshade-intolerance. Green plantains are a good whole-foods source of resistant starch (and I'm a whole-foods girl any way). When I ate it the first time and waited 72 hours to monitor for a reaction, I did feel some mild changes, but not strong enough to be certain it was the plantain. So, I did my second test: eating it daily for a week in the form of dehydrated green plantain chips (to preserve the RS, which becomes more digestible during cooking). Results: insomnia, brain fog, painful bowel movements, and a slow ramping up in joint stiffness and inflammation that resulted in a flare by the end of the week. Interestingly, people who benefit from RS report better sleep, improved digestion and mental clarity. RS has the exact opposite effect on my body. No-Starch: Since I had a strong inflammatory response to both complex and resistant starch, I wondered if eliminating starch altogether might be the key to eliminating my remaining inflammation. (My RA symptoms have improved 95% through a combination of GAPS and AIP, but I still have a tiny bit of inflammation remaining). I again made sure that I didn't go too low-carb while doing this experiment. I continued to eat fruit and non-starchy vegetables, alongside plenty of healthy fats, meat and seafood. However, my body responded with symptoms typically attributed to going too low-carb: intense fatigue until I eventually became intermittently dizzy and almost fainted. Simultaneously, my inflammation actually increased. Reintroducing the GAPS low-starch veggies eliminated these symptoms within a day. Apparently, my body does need some starch. Starch Summary: It turns out that I'm lucky I entered the paleo world through the GAPS doorway, because through my n=1 experiments, I confirmed that I do best on a low-starch diet. Charles Comey has ankylosing spondylitis and found a no-starch diet was a key to his remission. His pain returns even if he eats a very low-starch vegetable, like carrots. Unlike me, he doesn't have fatigue with this diet. Katy Haldiman has seronegative inflammatory arthritis and Crohn's disease. She came to paleo through GAPS, like I did, and combined it with AIP. It took her a year of healing to successfully reintroduce sweet potatoes (after a few failed attempts that brought on digestive distress). She's now attempting to reintroduce white potatoes, but since they are nightshades, it's trickier. If she eats them in large quantities, or too many days in a row, she gets digestive distress and increased joint inflammation. However, if she eats them in small amounts, just occasionally, she does fine. She also tolerates them better when they're peeled. She hasn't reintroduced any other starches at this time. Amber Husten has Crohn's disease and lupus. She came to paleo through the SCD doorway (a low-starch diet very similar to GAPS). Since that time, she has done her own self-experiments regarding starch tolerance, and this is what she found: (1) White rice: pain/bloating/discomfort/diarrhea within an hour of eating. (2) Sweet potatoes: tolerates well and eats multiple times a week. (3) Green plantains: can eat in very small quantities (maximum 5 chips); any more than that leads to severe digestive distress. (4) Sprouted lentils: tried them twice, once successfully and once not. (5) White potatoes: tolerates them occasionally, but generally avoids them due to her concern over nightshades. Angie Alt has celiac, endometriosis, lichen sclerosus, and a history of SIBO (small intestine bacteria overgrowth). Here are the results of her starch experiments: (1) White rice: can tolerate occasionally in small amounts only. (2) Sweet potatoes: tolerates well and eats regularly. (3) Green plantains: cause painful bloating and abdominal distension. (3) White potatoes: tolerates peeled, cooked fresh potatoes well. Refrigerating them and reheating them (which increases their resistant starch content) causes intense joint pain. (4) She has no plans to reintroduce legumes. Mickey Trescott has celiac and Hashimoto's. Here are the results of her starch experiments: (1) White rice: tolerates well occasionally. (2) Sweet potatoes and green plantains: after being treated for gut pathogens, she tolerates them both very well. (3) White potatoes: tolerates them well in both their fresh cooked (simple starch) and cooled (resistant starch) forms. (4) Legumes: these are the only starch she doesn't tolerate; when she eats them she gets instant pain and IBS (irritable bowel symptoms). My husband has no autoimmune disease at all. When I tested my microbiome, I tested his as well, out of curiosity about our differences. Interestingly, his was the one that showed a large amount of pathogenic bacteria. He tolerates starch well in all forms, and found resistant starch (in the form of unmodified potato starch) to help his chronic constipation. He now supplements with RS daily. His hope is that over time, it might also help correct his gut dysbiosis by increasing his beneficial bacteria and driving out the pathogens. However, he hasn't noticed any other benefits associated with RS supplementation: no improvements in sleep, mental clarity, energy levels or satiety. Nor has it affected his other health symptoms one way or the other (rosacea and acid reflux). Update 2015: My husband stopped RS supplementation after 6 months. He found the benefits were short-lived and his overall digestive problems worsened with longterm use. Should You Experiment With Starch? As you can see above, starch tolerance varies widely from person to person. If you came to a healing diet through the GAPS or SCD gateway, and never tested this hypothesis on yourself, it's worth seeing if you really do need to avoid starches. Autoimmune diets are naturally restrictive, but we should all eat as diverse a diet as possible, for the greatest nutritional benefit. If you have been following the paleo autoimmune protocol (AIP) for at least 3 months and are still experiencing autoimmune flares or digestive distress, this is one experiment you can try. This article includes a chart of the vegetables you can eat, and the ones you should avoid, for 30 days. Then slowly, reintroduce one starch at a time, and see how your body responds. Follow the same reintroduction process recommended in this AIP article. What's Up With White Rice?